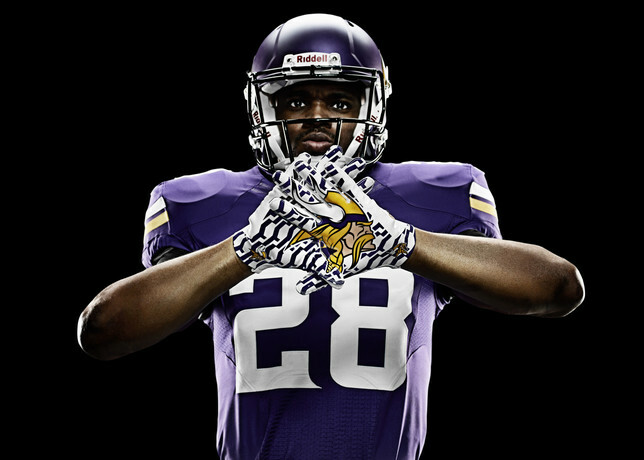 Just as the 2013 NFL Draft gets under way in New York, Nike and the Minnesota Vikings have unveiled new uniforms for the upcoming season. 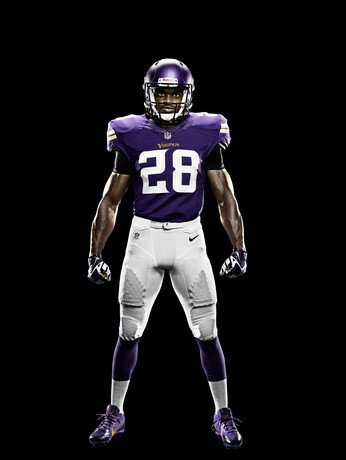 Just as the 2013 NFL Draft gets under way in New York, Nike and the Minnesota Vikings have unveiled new uniforms for the upcoming season. 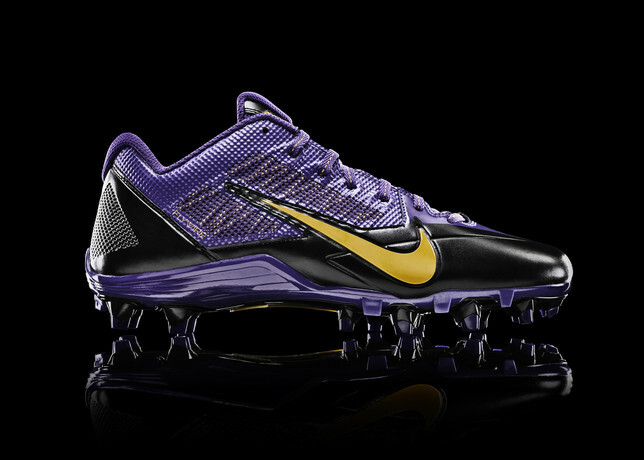 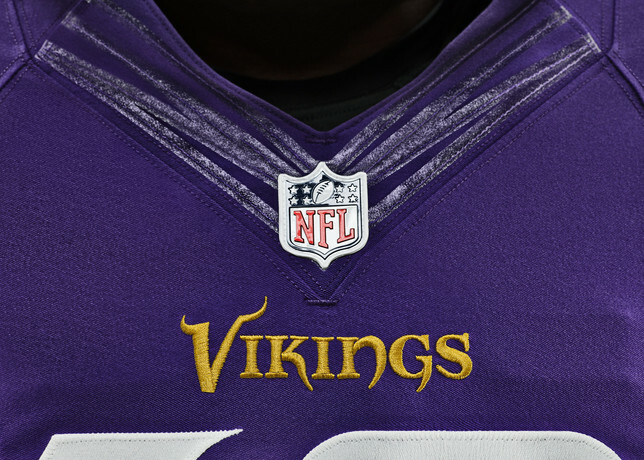 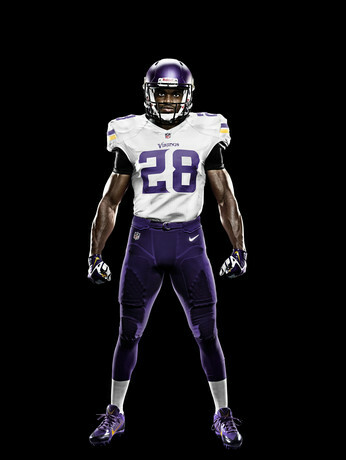 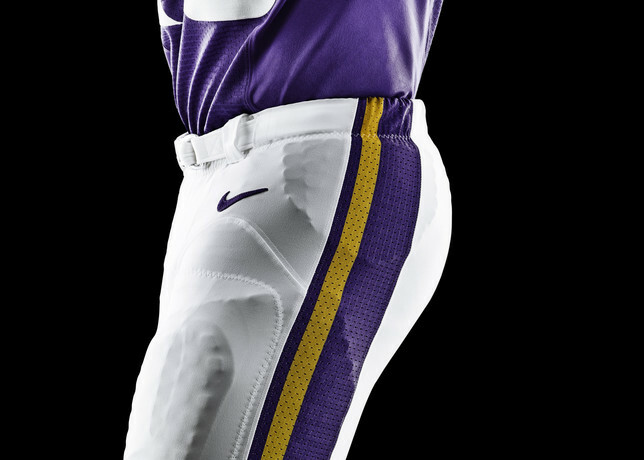 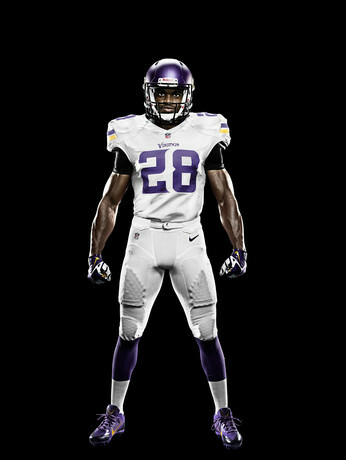 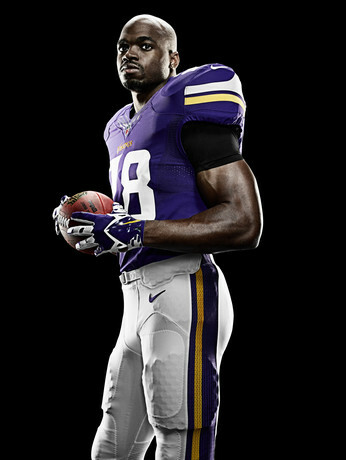 The Viking's new Nike Elite 51 uniform design merges Viking folklore with Minnesota's respected football heritage. 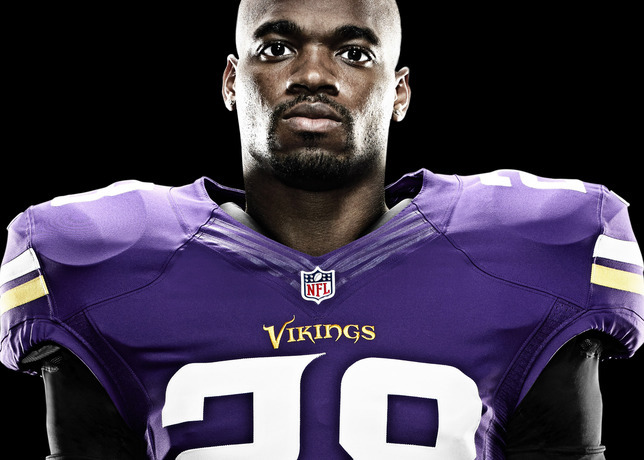 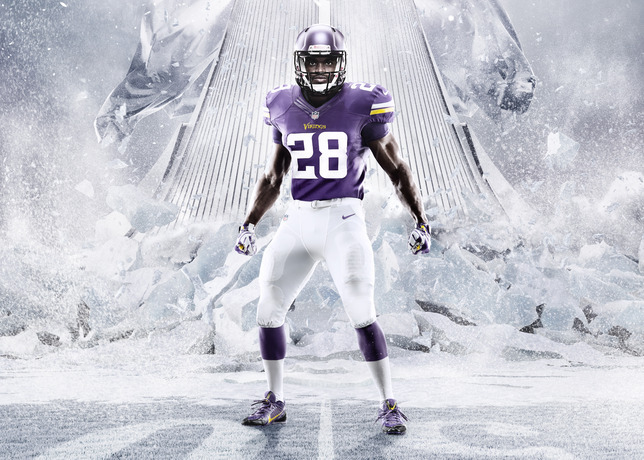 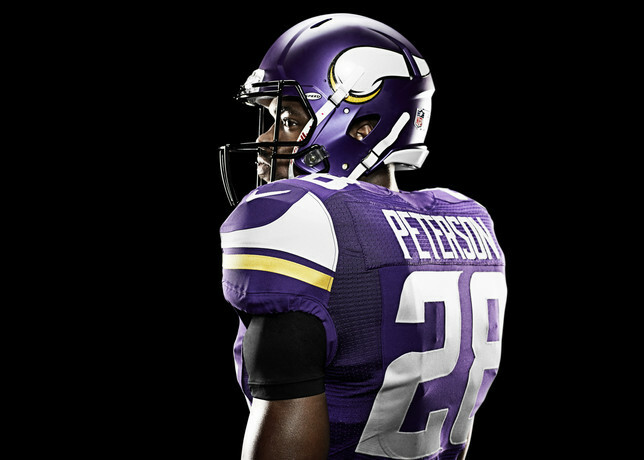 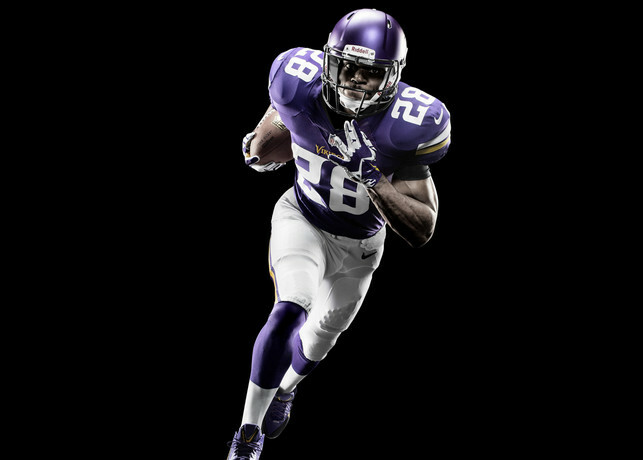 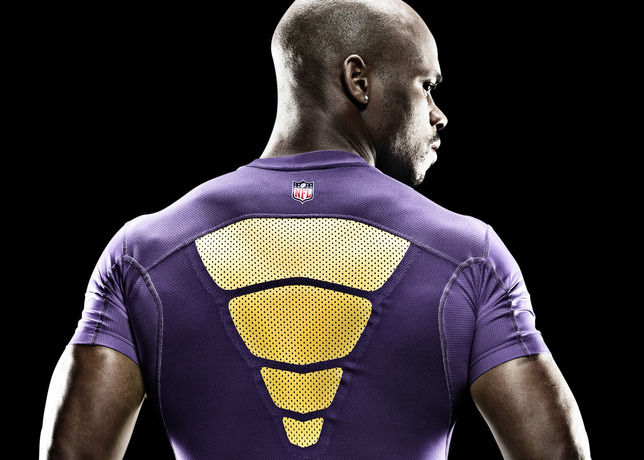 Modeled by Vikings superstar Adrian Peterson, the new uniform features strong lines inspired by Viking ships and Viking horns, along with a vivid purple, gold and white color palette that stays true to Minnesota traditions.